What are New Zealand’s foreign policy priorities in the time to come? And how are New Zealand’s relations with Norway and its Nordic neighbors? This and more will be the topic of The Rt. Hon Winston Peters’ talk when he visits NUPI. International Rules and Institutions: Strengthen, protect and use international rules and institutions to pursue New Zealand values and interests. Economic Returns and Resilience: Grow sustainable economic returns and resilience from trade, investment and other international connections. Asia-Pacific Architecture: Embed New Zealand as an active and integral partner in building Asia-Pacific architecture in support of regional stability and economic integration. Pacific: Promote a stable, prosperous and resilient Pacific in which New Zealand’s interests and influence are safeguarded. Environment and Climate Change: Promote sustainable international solutions to global environment and natural resource challenges that impact on New Zealand. Security and Safety: Lead New Zealand’s international action to advance and protect New Zealanders’ safety and New Zealand’s security. International Relationships: Build and leverage targeted international relationships to achieve our goals. 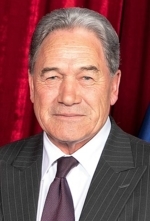 Winston Peters was appointed Minister of Foreign Affairs after the 2017 general election. He is also appointed the Deputy Prime Minister, Minister for State-Owned Enterprises, and Minister for Racing. 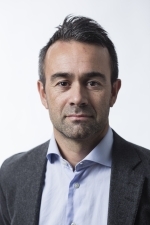 Mr Peters is Leader of the New Zealand First party which entered into coalition with the Labour Party, with the Green Party as a support partner. Mr Peters has had a long political career. He first entered Parliament in 1978 in the electorate seat of Hunua, was MP for the electorate seat of Tauranga from 1984 till 2005, in subsequent years has entered parliament as a list MP, although held the Northland seat from 2015-2017. In 1993, Mr Peters formed the New Zealand First Party. It gained representation in New Zealand’s last FPP (First Past the Post) election, and then in 1996 won 17 seats in New Zealand’s first MMP (mixed member proportional) election. He was Deputy Prime Minister and Treasurer from 1996-1998, leading business and finance delegations to Asia’s capitals, the US and Canada. This is Mr Peter’s second appointment as Minister of Foreign Affairs. From 2005-2008, he held the portfolio when New Zealand First entered a confidence and supply arrangement with the Labour Government. As well as being a former primary and secondary school teacher, Mr Peters has practiced as a barrister and solicitor, including in his own law firm. He holds a Bachelor of Arts and a Bachelor of Laws. He is a former New Zealand Maori rugby representative.